Having to come out of early retirement (due to the PTSD he suffered in the capture of Hannibal Lecter) this FBI Agent has another creature to capture. The young agent must face Lecter, seek his assistance, in order to find “The Tooth Fairy”. There’s more than just his anxiety on the line though, as he approaches Lecter’s dungeonous prison. His family’s lives are at stake. If you have not read all of the Hannibal books, or seen all of the films, now is the time to do so. There’s more to Hannibal than what meets the eye in this book, and we all know that Anthony Hopkins’ best role, his tue creepiness, has been Lecter. Put your headphones on – Red Dragon (Hannibal Lecter #1) Audiobook – The whole story! A must for anyone who appreciates musical words. This book of poetry … every poem is a song of the spirit and soul. 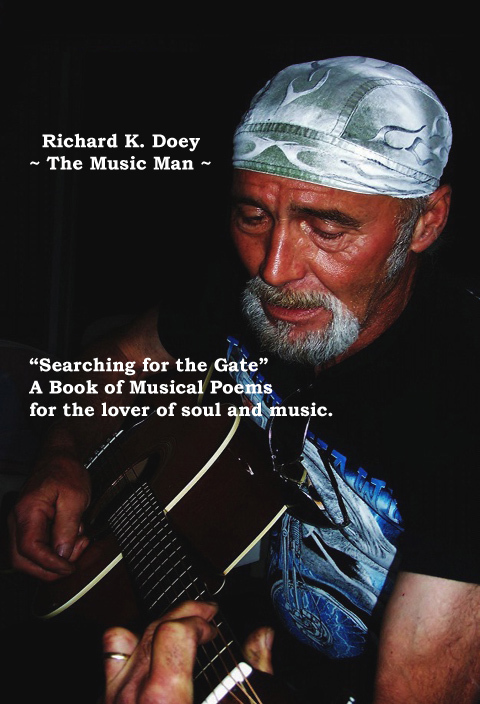 Canadian born and raised, Richard Doey is a genius when it comes to writing poetry about love, in all of its forms. His work is dark, deep, metaphorical, beautiful and utterly breathtaking. This simple book of poetry contains no image visuals, bringing the reader deep into the text, forcing the imagination to work the words into visions so profound, you’ll be left with a feeling of awe. He writes of love, honesty, honorability, emotional pain and heartache, gifts and abundance regarding life and love. For the free and insightful deep thinkers, this book will bring you into your own heart and soul, until you see yourself for who you really are.